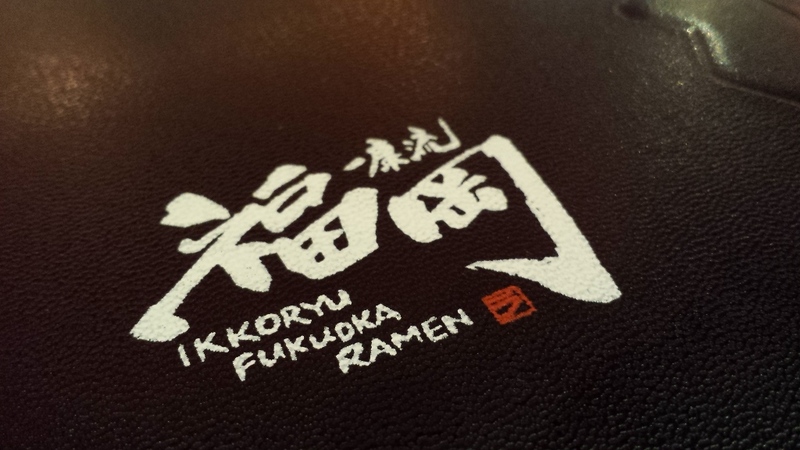 And still the ramen craze goes on. I have no idea how this craze started, but for a country loving of all the local and imported instant noodles that we have, this ramen fad will last a little longer than usual. 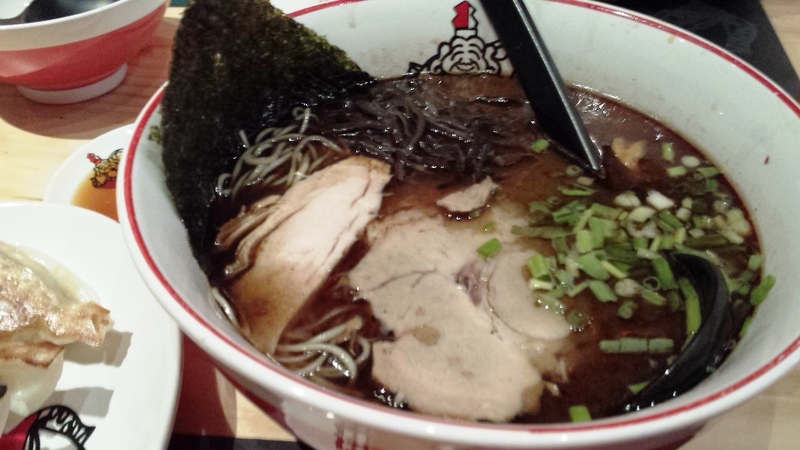 We decided to split a bowl of black garlic ramen, supposedly one of their famous and popular dishes, along with an additional order of tamago (OF COURSE) and gyoza. 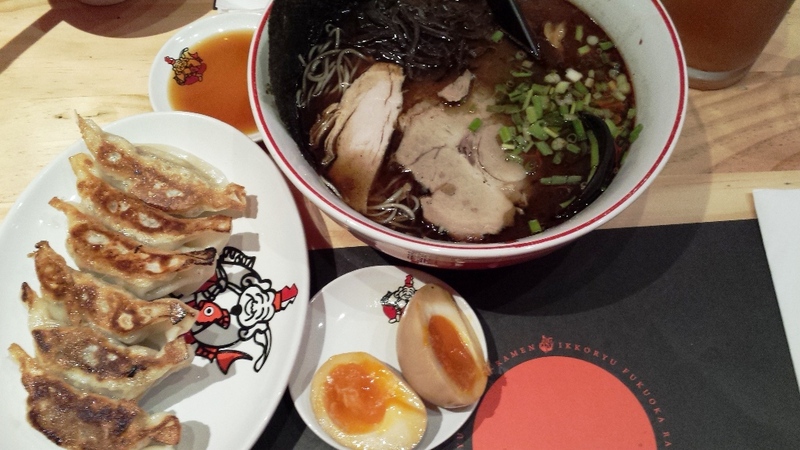 The ramen is described as a basic ramen, topped with some roasted garlic oil. The soup was really good except that it was so oily. REALLY OILY. I made ramen and if that fat came from the meat, then we have a problem. You ought to use bones, but hey, who made me ramen master? 🙂 In any case, it was really good, except for the oil. 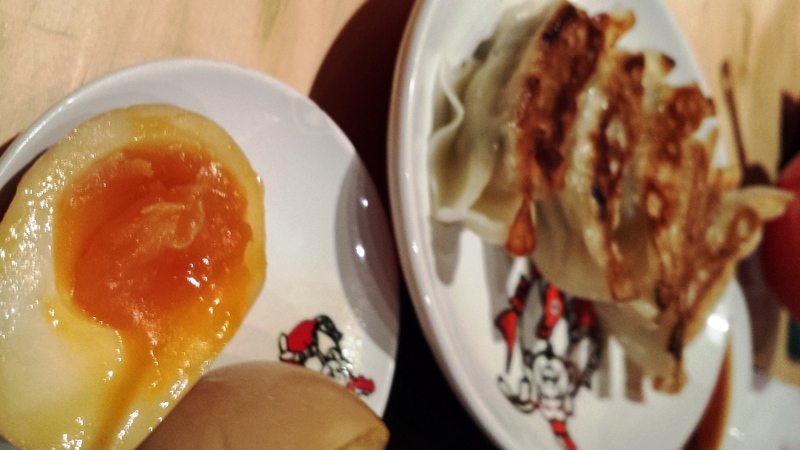 Tamago is perfect too, and gyoza was yummy as well. And all that, it was about P320 per head for us. Still expensive, but not insanely so.